I am a teacher in a Secondary Low School in Italy. 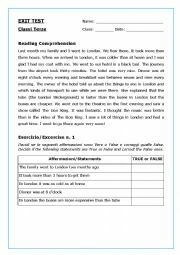 This simple reading will allow your students to practice the past tense and their description skills. This reading comprehension has been adapted for dyslexic students. 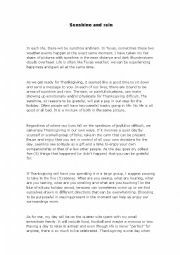 The kind and size of the font, and the division in paragraphs, simplify the comprehension. 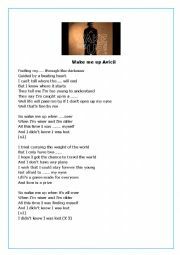 This is a simple reading comprehension activity, simplified for dyslexic students. The colour of the page and the font used can help them read better. 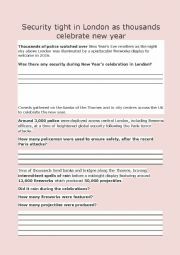 The text is divided into paragraphs and after each paragraph there is a comprehension question. Keywords are highlighted in order to simplify the answer. 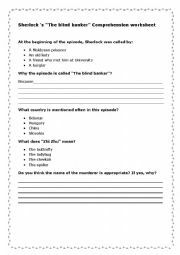 A simple worksheet useful to check comprehension after a listening activity watching the episode of Sherlock "The great game"
A short worksheet on a BBC Sherlock episode. For the ones who got sherlocked. A simple lesson about Past Continuous, its uses and structure, with a little exercise in the end. This is a cute powerpoint made by my students and me. It is about Scotland and its main traditions. It can be used as an easy CLIL geography lesson, or simply to introduce the UK and its different parts. 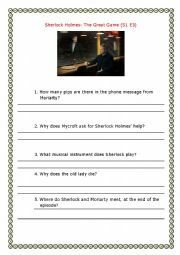 This power point was made by me and my students and it is about te Victorian Age, about Queen Victoria and Sherlock Holmes. It can be used as a simple and funny presentation of that historic frame. A simple and exaustive ppt about one of the most important Victorian novels. A short lesson about this modal verb, with a little exercise in the end. An encouragement for our SEN students. They can find positive role models in this lesson, and they can understand they can make it, too. It is best used together with a reading about one of the famous people listed here. This is a lesson I prepared for my students at the Fashion School . It is based on the biography of Elsa Schiaparelli found at http://www.biography.com/people/elsa-schiaparelli-21075509#synopsis Comprehension and grammar exercise will follow.